Stress is bad for both the body and the mind. In the short-term, stress can hamper judgment and negatively impact sports performance. Over time, perpetual stress can potentially lead to more serious health problems. Learn how to reduce stress in sports and in life by starting with the conscious breathing exercises described below. Using deep breathing and conscious breathing exercises to help with stress reduction will naturally lead to improved health and increased athletic performance. Breathing and stress levels are intimately related. When stressed, people naturally take faster, shallower breaths. This is due to the mounting muscular tension and resultant contraction of the chest muscles, in addition to other muscles. This creates a vicious cycle in which stress results in shallower breathing, which in turn increases stress. It stands to reason, then, that one of the simplest ways to work toward reducing stress levels involves employing conscious breathing exercises. As in stressful situations encountered in life, uncontrolled stress can significantly undermine sports performance. By using conscious deep breathing exercises, however, an athlete can improve sports performance overnight. Athletes should optimally begin deep, exaggerated, rhythmic breathing prior to beginning a given athletic activity (in both training and competition). When the athletic activity begins, then, the athlete’s muscles will already be primed with oxygen, and the rhythm of deep breathing will be established and habitual. By employing conscious breathing in both training and competition, the athlete gains a twofold (at least) advantage. With the rhythm of conscious, deep breathing established as a baseline, the athlete will naturally return to that deep breathing pattern whenever possible throughout athletic activity. First of all, the athlete’s muscles will benefit greatly from this regular oxygen supply, enhancing both performance and recovery. Secondly, deep breathing will reduce stress levels for improved sports performance. Learning how to reduce stress is a key to living a healthier life in general, as well as to improved sports performance. Breathing and stress are closely connected. Stress reduction can begin by simply engaging in conscious breathing exercises such as counting deep breaths when encountering a stressful situation. 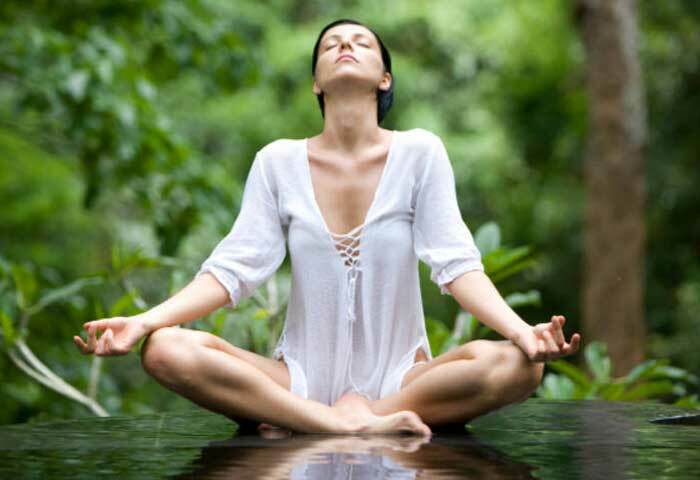 Regular meditation helps reduce stress as well. Deep breathing and meditation can lead to better sports performance. Improve overall health and athletic performance through conscious breathing.